An oasis of small-town charm and recreational opportunities to be explored. Picturesque Lemont is known for its church spires, limestone buildings, and neighborhoods rising on the bluffs above its downtown. Three waterways – the narrow I&M Canal, the wide Sanitary and Ship Canal, and the marshy Des Plaines River – help define the community. Native Americans traveled the river by canoe on their trading trips between the Mississippi and Lake Michigan. The I&M Canal made this natural passageway navigable for commerce in 1848, and in 1900 the Sanitary and Ship Canal created a modern shipping channel. Today, you can enjoy a walkable downtown, boutiques, restaurants, a new brewpub and nearby recreation. Downtown Lemont has a Farmers’ Market on Tuesdays from 8am to 1pm during the season. 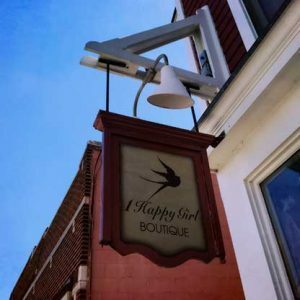 Must-see shops include 1 Happy Girl Boutique, Sanctuary Boutique, Jilley’s Boutique, and Smokey Row Antique Shop. Downtown is also where you can pick up the I&M Canal trail and walk or bike to the Heritage Quarries just east of town. Three miles of trail loop around the quarry lakes and allow for fishing, boating, and picnicking. Lemont’s history is rich. The Lemont Historical Society & Museum offers exhibits in the “Old Stone Church.” Throughout town you will see limestone buildings and interpretive panels. Digging the I&M Canal with pick and shovel became impossible near Lemont – dolomite limestone was too close to the surface. The workers risked their lives when they blasted through with black powder, and quarried with drills and chisels. You can still see this yellow stone in Lemont’s canal walls, its downtown commercial buildings and neighborhood churches. Tons of stone were shipped by canal to Chicago – its famous Water Tower is a surviving example. Thousands of immigrants worked in Lemont’s quarries, and built the Sanitary and Ship canal. Downtown hosts the Lemont Legends Cruise Nights on Wednesday nights from June to August. In addition, the community sponsors a Heritage Fest in July, a Halloween Hoedown in October, and Hometown Holidays in December. There are several good choices in the downtown area for lunch and dinner. La Dolce Vita is an old favorite. Sweetwater Deli has a large selection of what you would expect from a deli – both for lunch and to take home. Old Town specializes in eastern European fare. A diverse immigrant population of Irish, Poles, Czechs, Austrians, and Italians has brought Lemont many church spires as well as a diverse selection of cuisine. The Vault Café and Bar is nearby and Mexican food can be found at Front Street Cantina along the canal. Several places have outdoor seating. 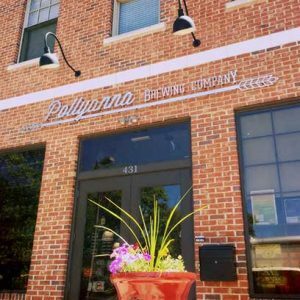 A new brewpub, Pollyanna Brewing Company, and a new wine store, Bottles, add to the downtown choices. Right downtown is a B&B called the Inn at Smokey Row. Other choices include familiar chain establishments along I-55. Park downtown on the street or adjacent to the I&M Canal to shop, dine, enjoy Lemont’s architecture, or walk its 5-mile canal trail segment or through the quarries.